Metal Clad switchgear is much more robust design than Metal Enclosed switchgear and is suitable for applications that have a higher fault duty, sophisticated relay protection or more frequent operation. Metal Clad switchgear typically uses a drawout circuit breaker with vacuum interrupters. The protection features are provided by an independent relay. The other main difference between metal enclosed and metal clad, is that metal clad switchgear features fully insulated and compartmentalized bus, which is more likely to contain an internal fault to one cubicle without affecting adjacent units. 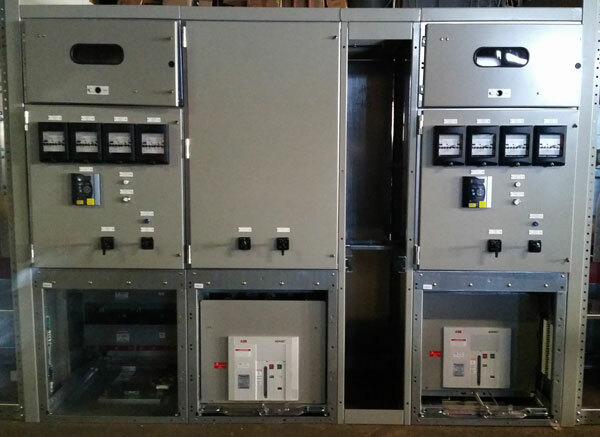 Metal Clad switchgear is available with voltages up to 38kV.